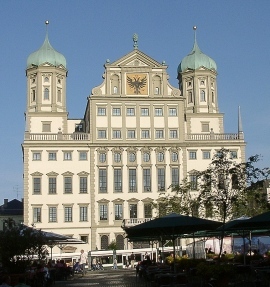 "Altes Rathaus in München Ostseite" by Pedelecs - Own work. 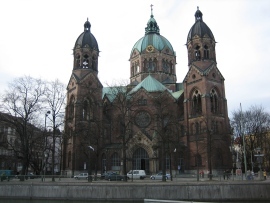 "Lukaskirche München" by Oliver Kurmis - Own work. (Nuremberg – Gleißhammer Quarter) - "ZeltnerSchloß 0010" by Andbaufei - Own work. Bavaria, famous for its Oktoberfest, is popular for many different reasons. On one hand, you have the lovers of food and drink who come to this region to enjoy foods that you often can't find in other parts of Germany, and to sample the various beers and wines. On the other hand, you have the tourists who come to the region to see UNESCO world heritage sites, visit historic castles and ruins, and take in all the culture the region has to offer. Of course, Bavaria also has a lot to offer for lovers of nature and outdoor sports. In short: there's no holiday maker who wouldn't be able to find an interesting activity in this diverse region of Germany. While Bavaria has something to offer during all seasons, some seasons are better for some activities than others. In late spring, summer, and early autumn, you can enjoy Bavaria at its best. The weather will often be fine and you can always go to a great museum on a rainy day. Parties who are interested in visiting the Oktoberfest will logically have to travel to Bavaria during October. If you are interested in winter sports like skiing or snowboarding, then Bavaria will be a true paradise for you in winter and often still in early spring, especially if you go to the Bavarian Alps. 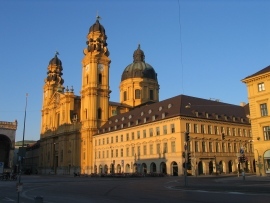 Munich is the biggest city in Bavaria, the region's capital, and also the location of the famous Oktoberfest, the internationally renowned beer festival. However, the city has a lot to offer for people who are more interested in culture, arts, and history. There are plenty of museums and art galleries to keep you occupied. You can also just stroll through the shopping areas, or explore the historic buildings of the history-rich city. The Fichtelgebirge is a charming and enchanting area for people who love mountains, and snow. During summer, you can go on fantastic hikes, and during winter, this is a fantastic area for winter sports. There are some very charming, little villages in the mountain ranges, e.g. a little village called Röslau, which is easily reached by train. The train connections are surprisingly good in this secluded region of Germany, so you could easily hop from village to village. While Bavaria prides itself on their pure, fine beers, the region also has a lot to offer for lovers of wine. In this region along the beautiful river Main, wine has been produced for over 1,000 years, and is sold in a wine bottle of a rather unique shape, called the Bocksbeutel. The river Main, however, has more to offer than just wine. You can also take beautiful cruises on the river, or even hire a canoe or Kayak to go on a more individual tour. You can observe many birds along the shores of the river. Bamberg is quite special because the whole place is a UNESCO world heritage site. The reason for this is the historical architecture which turns the city into a wonderful place to wander around in. This is the largest lake in Bavaria, and well worth a visit. 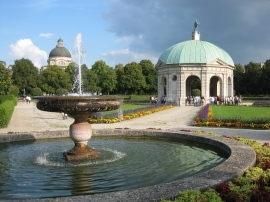 The mountains form a picturesque background for the lake, and there is also a Mini-Versailles. It is a quaint lake with a curious history. 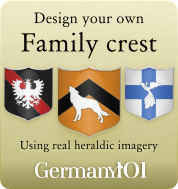 This is one of the most famous castles in Germany. 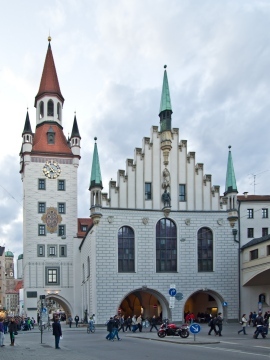 It is located in a little village called Füssen, which is also worth some of your time. It is all very picturesque, and can be very busy during the main holiday seasons. If the Fichtelgebirge is too tame for you, and you are after higher mountains, more adventure and skiing, then you should pay the Bavarian part of the Alps a visit. 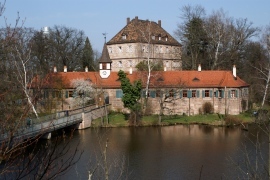 There are hotels in Bavaria that are located in a castle. A night in such a hotel will be an unforgettable experience, especially if there are rumors about the castle being haunted. 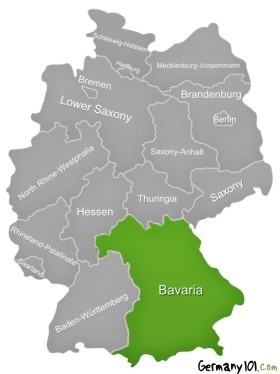 Bavaria is a region of Germany that is famed for its high quality farm holidays. If you would like to spend some time with farm animals, and maybe even learn a few skills from a farmer, then you should choose a cozy farm holiday. Bavaria is very popular with tourists from all over the world, especially during the time of the Bierfest in October. During the time of the festival and also during summer holidays, and other holidays like Easter, it is recommended to book your accommodation well in advance, especially if you would also like to go to smaller villages like Röslau that do not have a huge variety of accommodation on offer. Apart from booking your accommodation in advance, there is nothing that should be problematic during a trip to Bavaria. The region is well connected with public transport, and the locals are used to foreign visitors (apart from villages that are really out of the way of the usual tourist).